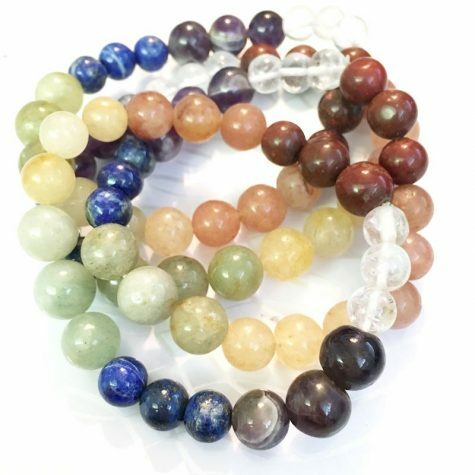 Chakra Crystal Healing! 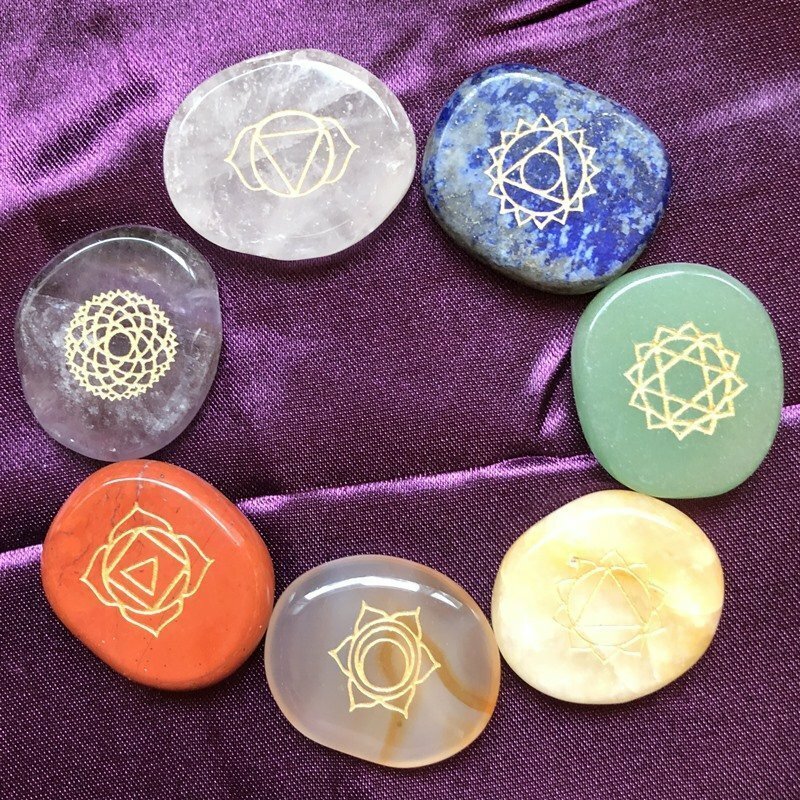 Chakra’s are energy centers in our body that govern our energy and balance. 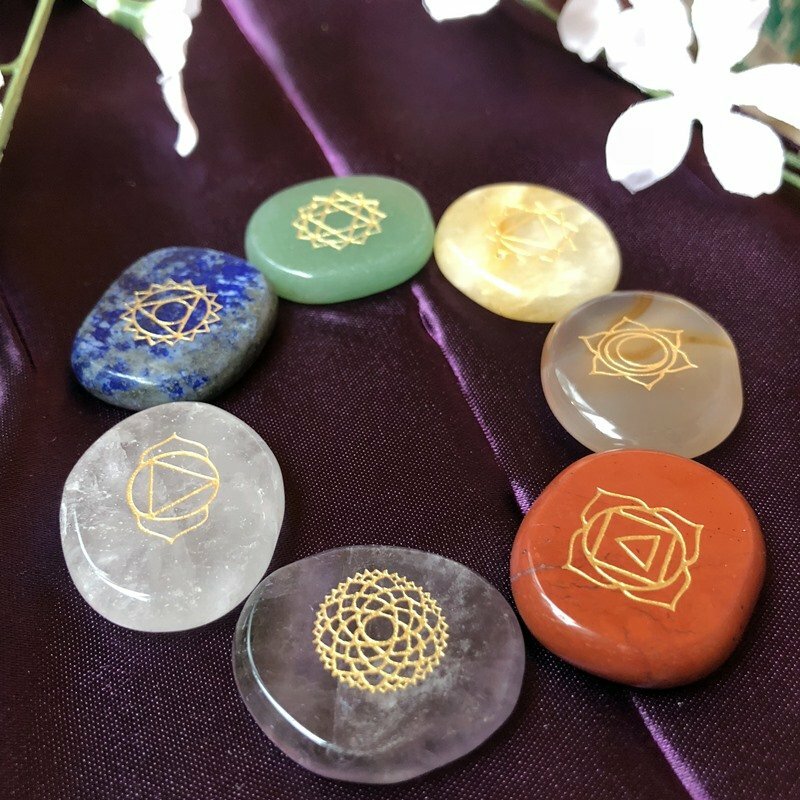 A lovely kit of 7 round flat stones for their responding chakra’s, with the carved Sanksrit chakra symbols. Each stone is roughly 1″ in size. 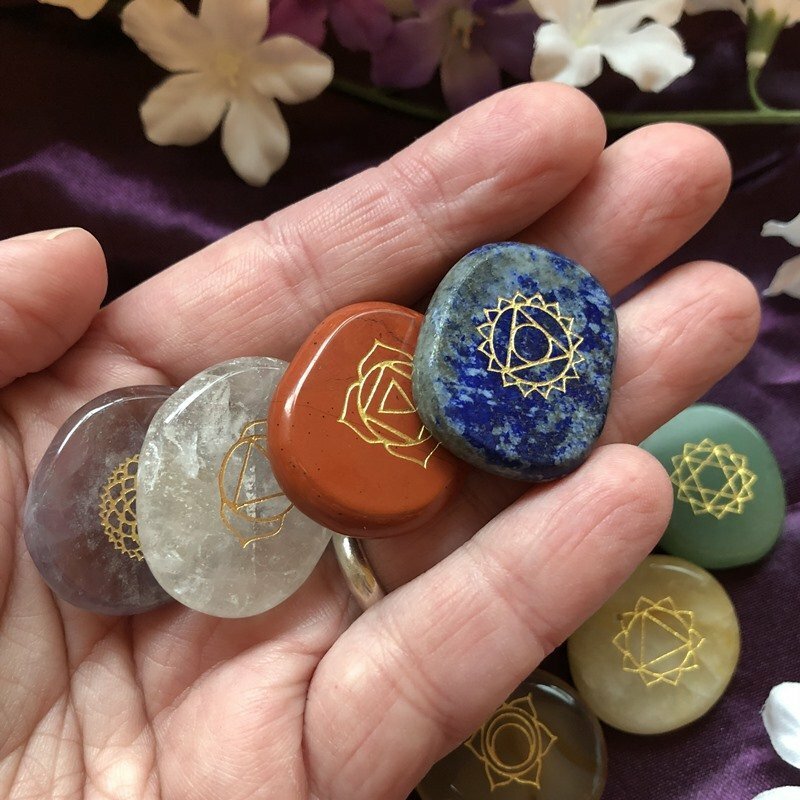 You can place them on your chakra’s during meditation or energy healing or crystal healing, display them on your sacred altar, or carry them with you. Work with them one at a time, in groups, or all at once. Each kit comes in a black velvet pouch for safe keeping.